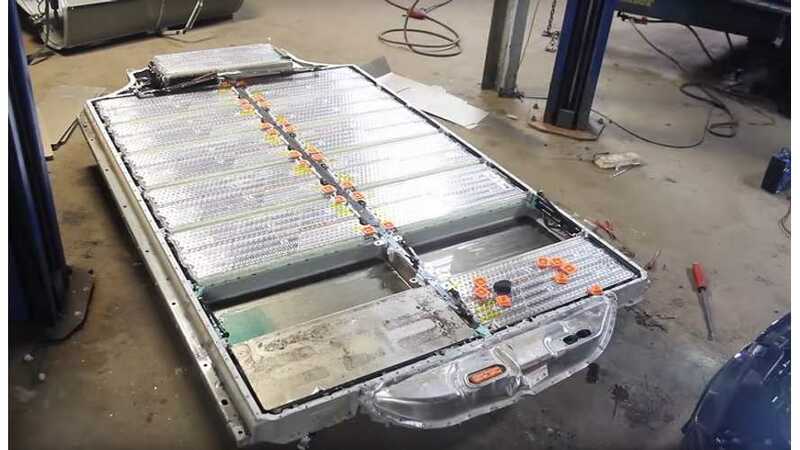 Rich Rebuilds, in one of its latest episodes, shows what's the condition of a battery pack from Tesla Model S that spent 10 days submersed. As it turns out, the battery survived, it seems. The pack voltage exceeds 300 V, and particular modules seem unaffected. It's not always the case that batteries survive a flood or other disaster, but if does, it will certainly be useful in new projects. "In this episode we find out if the battery pack in my Tesla flood salvage build survived the 10 days underwater. This is a multi day episode consisting of me removing the battery pack modules, putting back the empty shell in the car, and them moving the car to a new location. Stay till the end, things are getting weird."